“The Constant” is one of the best hours of television you will ever see. Brilliantly constructed, “The Constant” involved so much information and specifics for the future of LOST, all wrapped up in a heart-warming love story between Desmond and Penny. On the way to the freighter, Desmond’s consciousness jumped back to his time in the military. Similar to the situation in “Flashes Before Your Eyes,” Desmond’s mind jumps to his past, 1996 to be specific. Only this time, Desmond’s mind jumps back and, suddenly, in 2004, he does not remember Sayid, Frank or the Island. This caused Desmond to freak out and Sayid had to restrain him to prevent Desmond from doing something to crash the helicopter. Once on the freighter, they took Desmond to the doctor. There he met another person who was suffering the same fate as Desmond, George Minkowski. Minkowski was the communications officer on the freighter until he went a bit mad. He was strapped down to the bed. With Frank’s help, Sayid got a hold of a phone and called Jack, who put Faraday on the line. Faraday appeared to know what was going on and he asked Desmond what year he thought it was. 1996 Desmond said, 8 years off. Faraday told Desmond to go find Faraday at Oxford in 1996 and to convince him that Desmond was sent there by Faraday himself. Faraday gave Desmond some numbers and some hints that would help convince himself that this was true. Desmond’s next flash was at Oxford and he found that time period’s Faraday, who did not believe him at first. Desmond convinced him and he told Desmond that the reason he was stuck was that his mind did not have anything familiar in both time lines. He needed a constant to balance the variables. Faraday also dropped some of LOST time travel rules, most importantly, the future cannot be changed so there would be no Back to the Future time paradoxes. Desmond knew who his constant would be…Penny. Flashing back to the ship, Desmond told Sayid that he needed to call Penny. Problem- communications were sabotaged by someone. Sayid would try to fix it, but Desmond needed the number and he did not have it. Next flash, to an auction where a journal from and a painting of the Black Rock were for bid. Charles Widmore purchased the journal written by one Tovard Hanso. Desmond begged Charles to give him Penny’s new address and Widmore did it, expecting his daughter to kick Desmond to the curb. Back on the ship, Minkowski died in Desmond’s arms as his mind could not get back to the future. Blood started coming out from Desmond’s nose as well, indicating that time was running out. Flash back to Desmond going to see Penny. 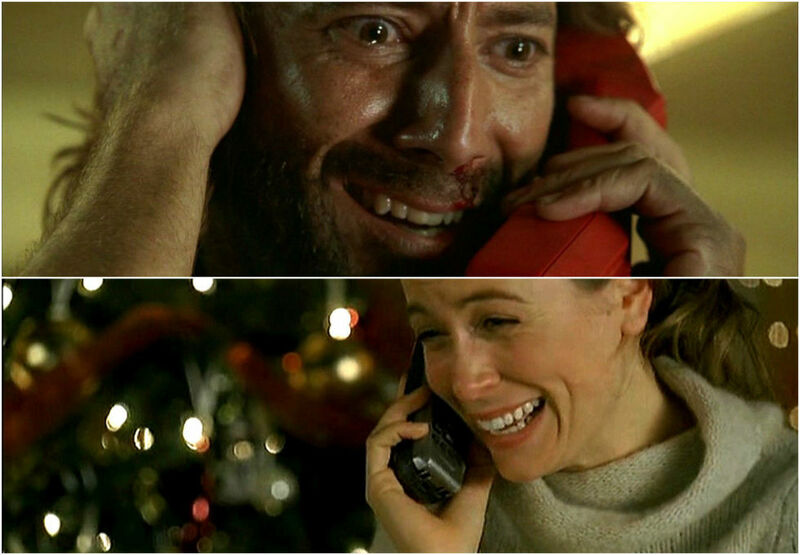 He wanted her phone number and he said he won’t call it until Christmas Eve 2004. She couldn’t change the number and had to believe him that he would call her then, and if she ever loved him, she would do this. Penny gave him the number. Back on the ship, the phone is ready, Desmond remembered the number and they called Penny. Sayid warned Desmond that the battery would not last long. After several rings, Penny answered. This is one of the most joyous phone conversations I have ever seen on screen. Every bit of chemistry and connection Penny and Desmond have came through during this conversation. Penny couldn’t believe that he had called her. She had been searching for him. They swore their love for one another just before the phone died. Desmond thanked Sayid by name, indicating that he was okay again. Henry Ian Cusick and Sonya Walger were masterful in this scene, which was the perfect end to this episode. I have said it before, but the one couple on LOST that had to wind up together was Penny and Desmond. If that did not happen, then there was just something wrong with the show.